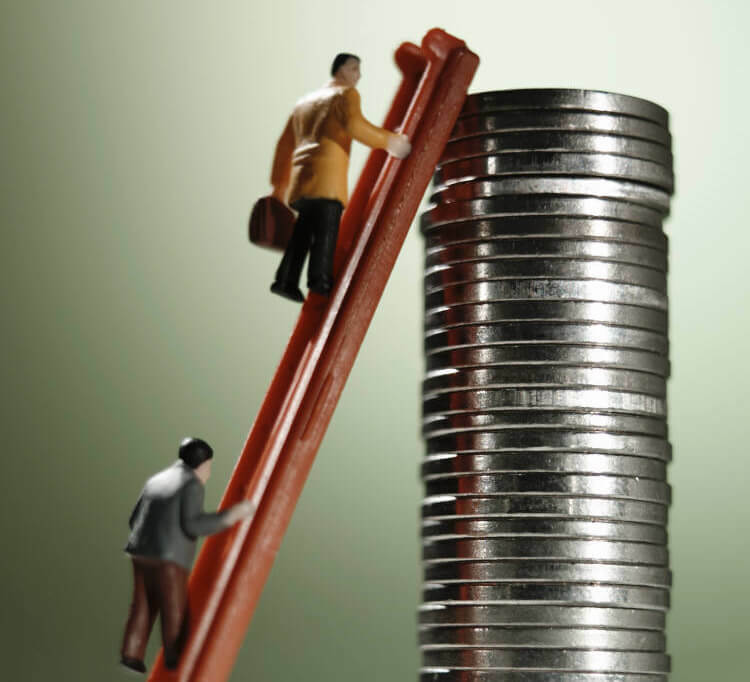 How will you raise money for HortAid in 2019? 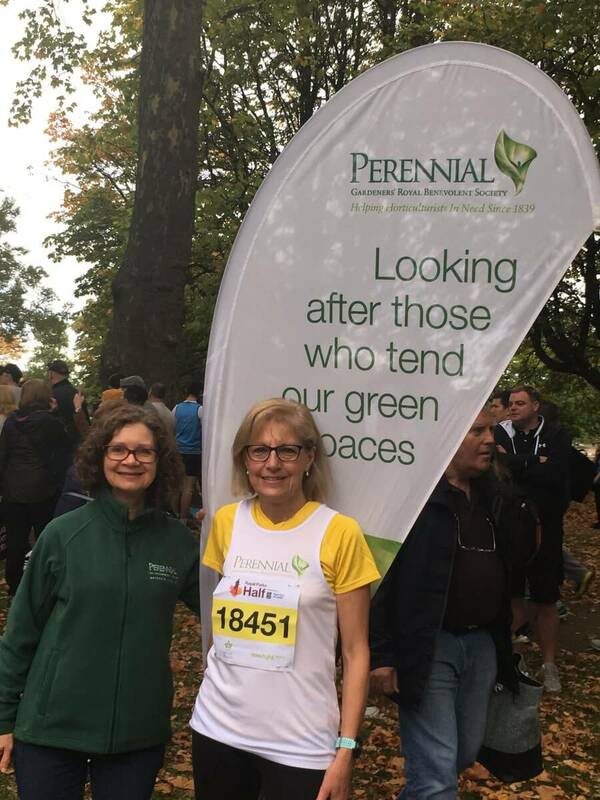 HortAid aims to raise as much money as possible to help horticulturists in need of Perennial’s support. 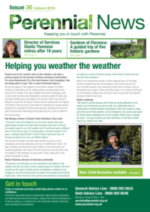 Fundraising for HortAid takes place at any time of year just as Perennial’s services are available year-round for all those who work in or are retired from horticulture. Alan Titchmarsh, President of Perennial explains below why it is so important that we all dig deep to support the only charity in the UK dedicated to helping horticulturists in need. 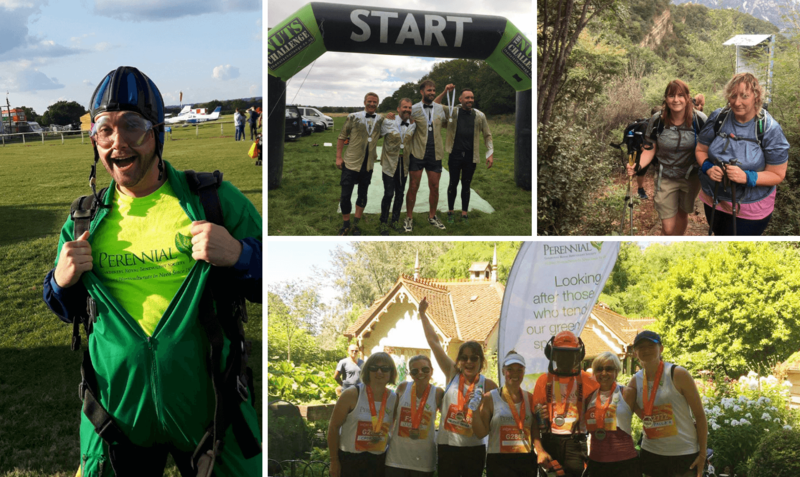 If you’re looking for a fundraising challenge then visit our ideas page, sign up to one of our events or get in touch with us here at Perennial to find out more. Tell us what you plan to do and we’ll help promote your event and fundraising page. 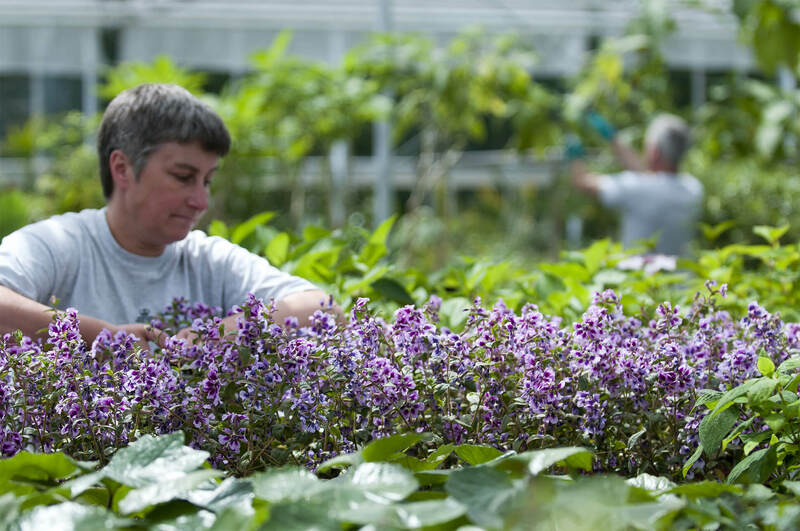 Our work depends entirely on the generosity of the horticulture industry and the garden-loving public. In order to continue supporting horticulturists in crisis, we need your help in raising money. Help Perennial change lives this year. So get your thinking caps on and let’s make our 2019 HortAid campaign the most spectacular and successful ever! 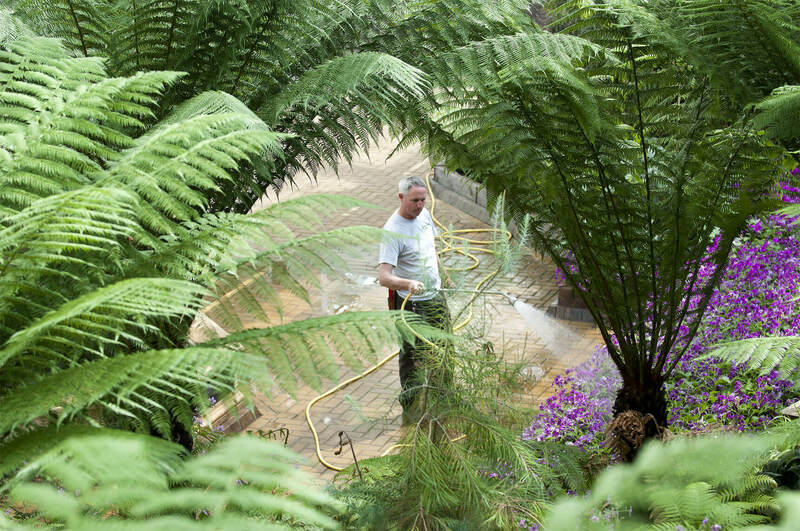 Perennial is often described as a ‘lifeline’ by the people we help. Your fundraising will make a real and lasting difference to lives. You can read about some of our client’s stories here or watch our short film below. Need some inspiration in your fundraising for HortAid? #GetFit – Walk, run or cycle to work for a week – you can donate the money you save in transport costs to Perennial AND get sponsored by colleagues to boot! #GetOpen – host an impromptu ‘Garden Open’ event with voluntary donations and tea and biscuits! #GetGunged – create a gunge tank at work – everyone pays for a vote and the one with the most gets the gunge! Will the boss be gunged? Experience the most spectacular views of London, whilst dangling in free space, 80 metres above the ground! 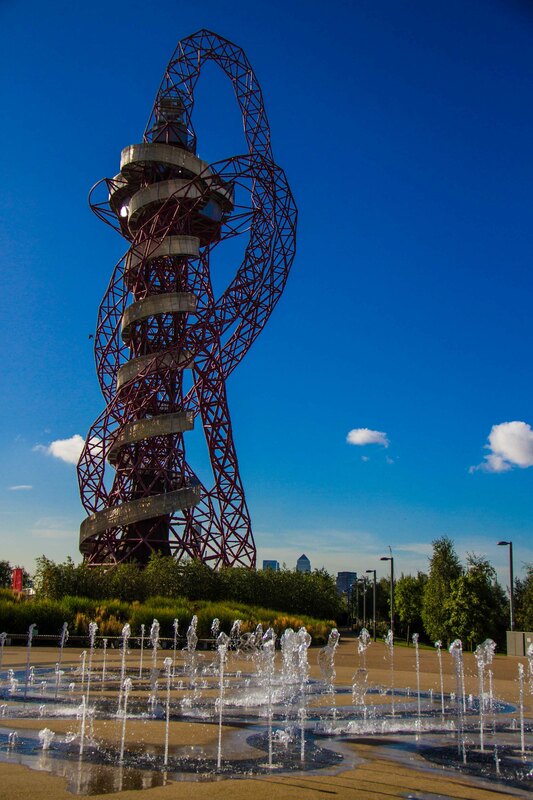 Abseiling down the ArcelorMittal Orbit will be an experience you will never forget. Our abseil instructors will look after you every step of the way. They will kit you up and look after every aspect of your safety. Using the safest rigging system conceivable, they will coax you over the edge and on your way to a truly breathtaking experience. Make sure you savour those moments. They are truly incredible! 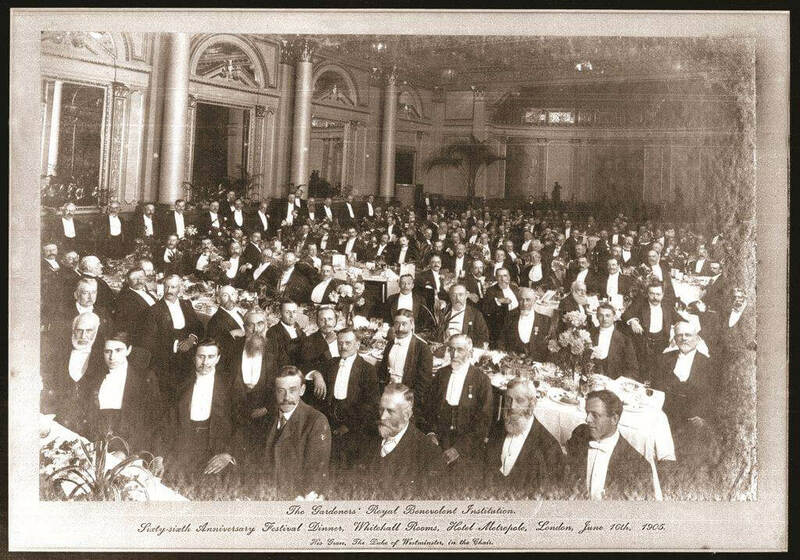 We’ve introduced a brand-new virtual event to mark our 180th anniversary, taking place throughout June when the 180th day of the year falls. 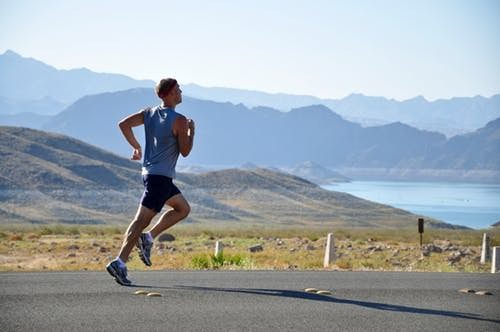 But for the more competitive participants, there is a leaderboard that tracks your progress with exercise tracking apps should you wish to raise the bar and spur yourself on that extra mile to be the 1st over the finish line, or challenge your colleagues. 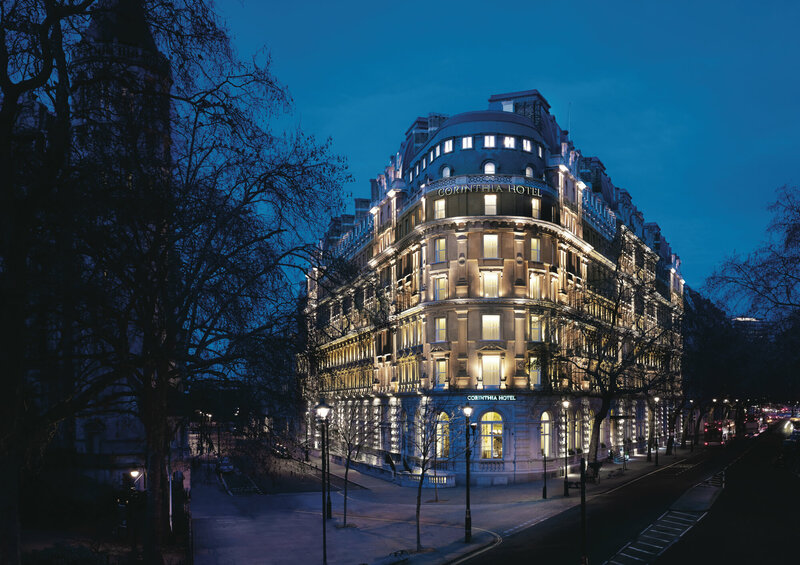 Join us for our 2019 Festival Dinner at the Corinthia Hotel in London on Friday 11 October 2019. 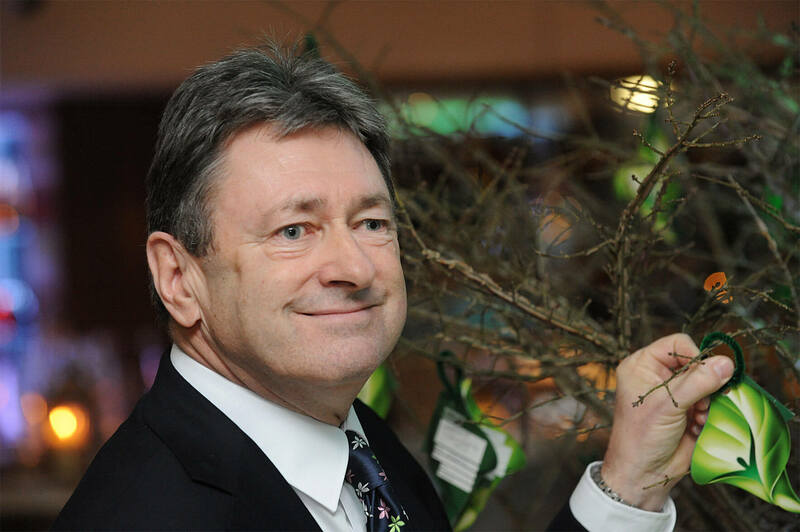 We are thrilled that Perennial’s President Alan Titchmarsh is confirmed as our guest speaker for our 180th Anniversary dinner in 2019 and in addition to wonderful hospitality provided by the five star team at the Corinthia, your evening will include first class musical entertainment and the popular Perennial Auction. 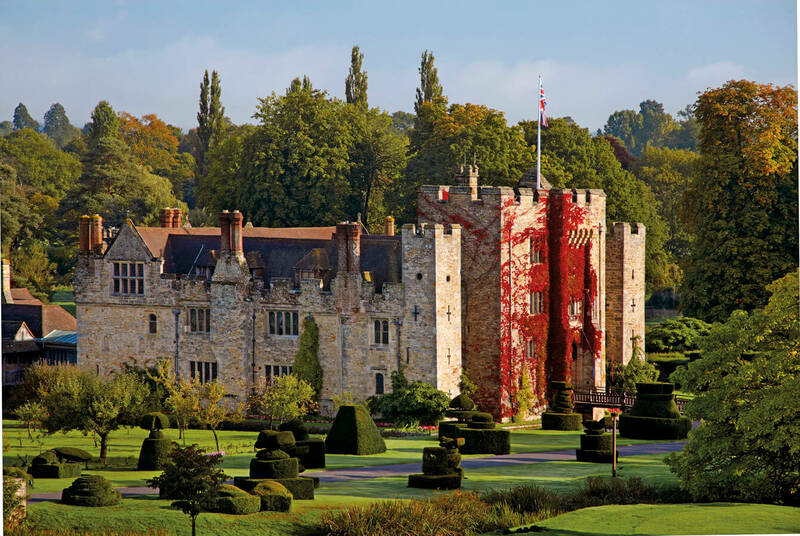 Building on the success of our 2018 event, which raised over £36,000 for Perennial, our anniversary Festival Dinner promises to be a glittering evening of fun, friendship and fundraising. 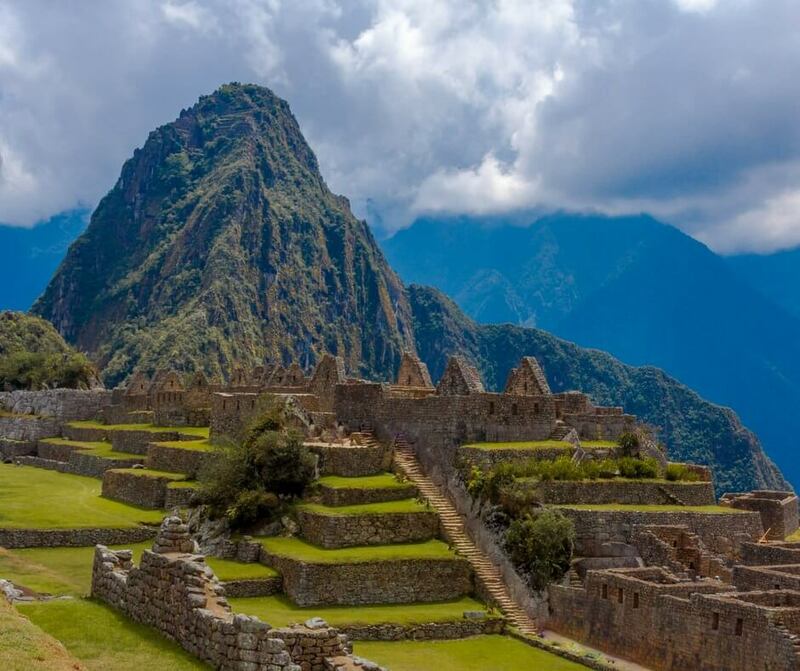 Now imagine leaning forward out of that doorway and letting go – falling forward into the clouds, diving down through the air as you start free-falling at over 120mph! Imagine no more… come and join us! Great to do if you’re celebrating a big birthday, needing an adrenaline fix or need to tick it off your bucket list. A number of airfields to choose from around the UK. 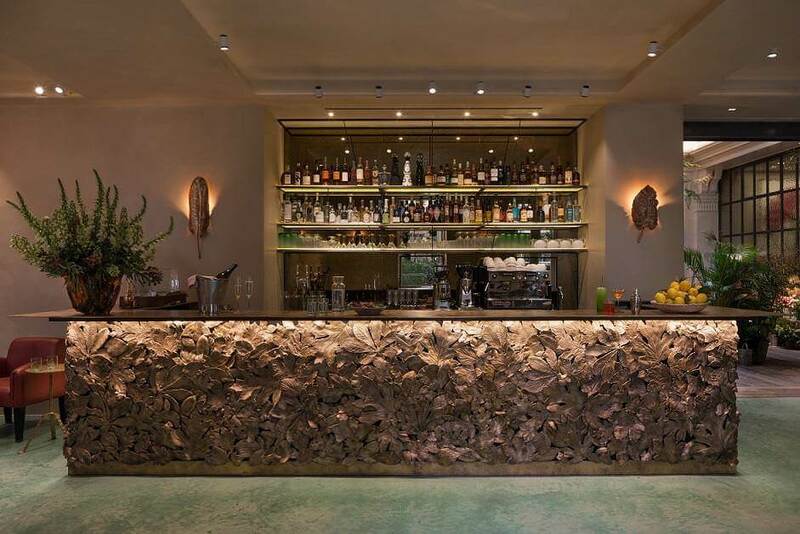 Our 180th Anniversary Party for Perennial took place at the wonderful La Goccia restaurant at Petersham Nurseries in Covent Garden, central London. Read all about how the evening went here. 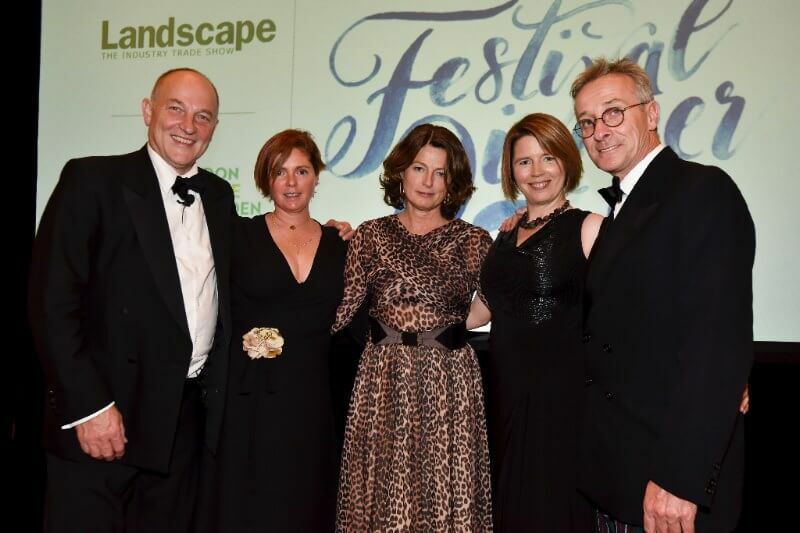 Guests at Perennial’s Festival Dinner raised over £36,000 at the revived annual event held on 12th October at the Langham Hotel in London. James Alexander Sinclair hosted the evening and gave a rousing after-dinner speech in support of Perennial and our work for all those in horticulture. Tickets are on sale for the 180th Anniversary Festival Dinner in 2019, which will be hosted by Alan Titchmarsh. 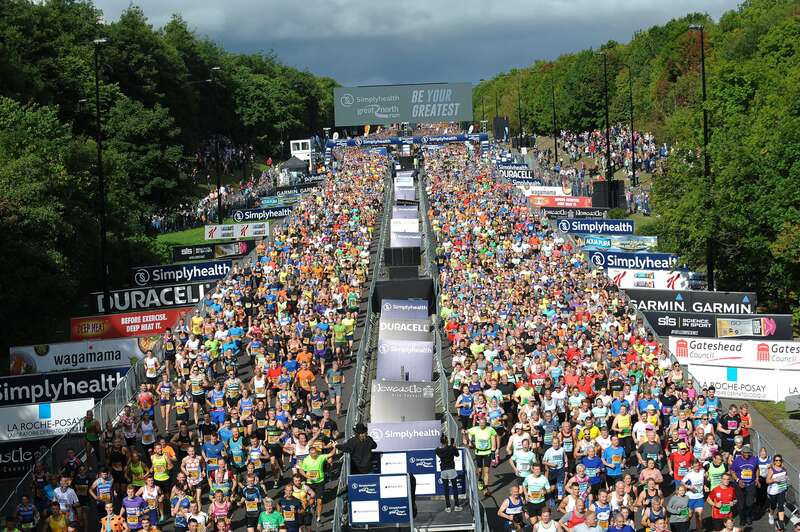 Thank you to every one who took part, raising over £16,500! Perennial’s Director of Marketing & Fundraising Anita Bates and Senior Development Manager Laura Garnett took on a challenge of a lifetime and tackled one of the Seven Wonders of the World – the Great Wall of China. 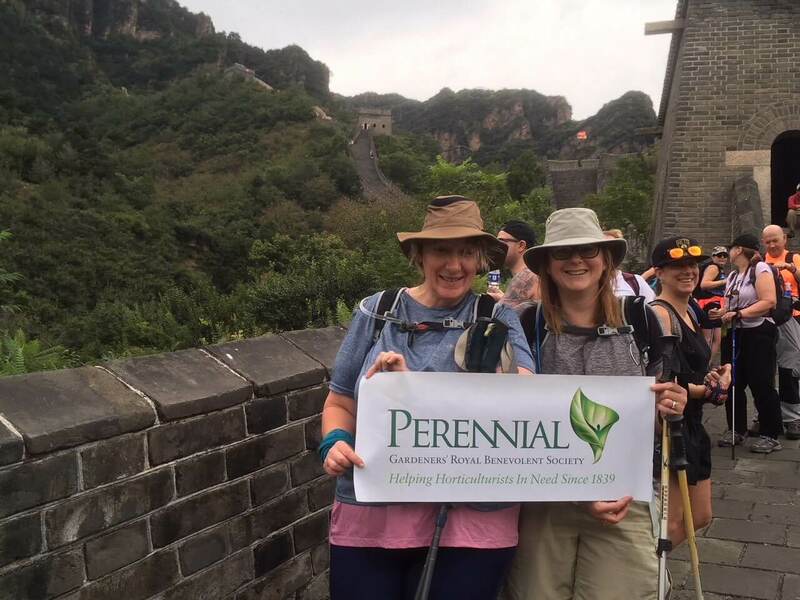 The pair trekked around 70 miles of the Great Wall from Huangyauan to Beijing, raising nearly £8,000 for Perennial. You can still sponsor them here. 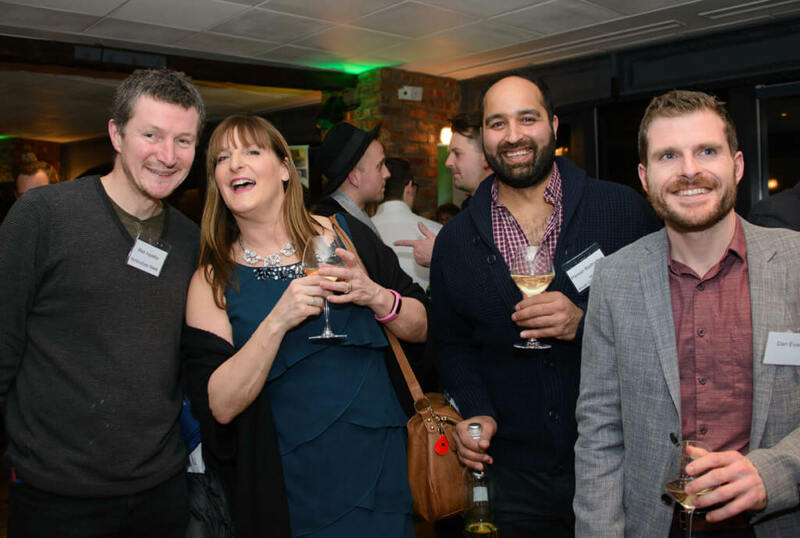 Party for Perennial, which took place on Thursday 18 January at O’Neills in Central London, raised £10,000 on the night. Over 150 people from across the horticulture industry enjoyed a lively evening of networking and celebration with a fantastic selection of raffle prizes and the announcement of Perennial’s fundraising Champions 2017. 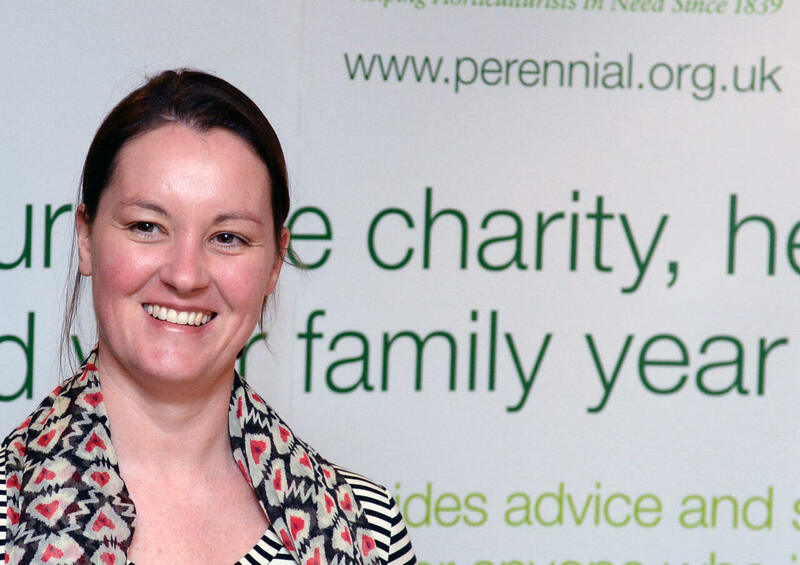 Money raised on the night would keep one of Perennial’s 13 caseworkers on the road for just over 10 weeks, safeguarding the tailored one-to-one support the charity gives people in need year-round. 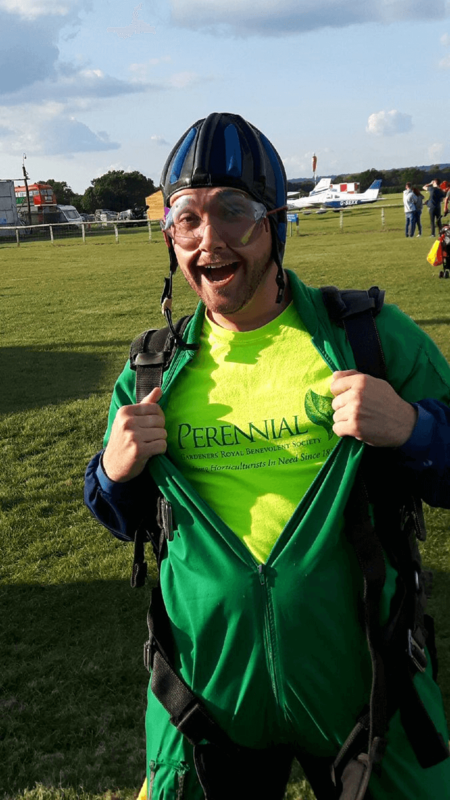 It was third time lucky for Kenny Raybould who, thanks to the weather finally being kind to him, skydived for Perennial on 2nd September, raising an incredible £722.50! You can still sponsor him here. 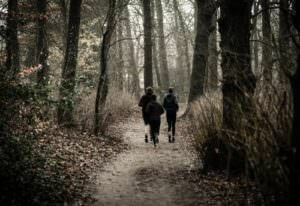 Three fundraisers have raised almost £3,000 for HortAid, Perennial’s annual fundraising campaign. Two brave thrill-seekers, Manoj Malde and Gillian Goodson, took to the skies to skydive over Wiltshire, while Brian Hawtin walked an epic 100km in under 24 hours. 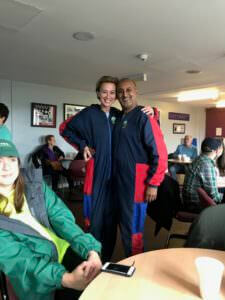 Manoj and Gillian, both garden designers, leapt out of a plane at 15,000ft from Netheravon Airfield near Salisbury, both smashing their fundraising targets. On the same weekend Brian Hawtin of Brian Hawtin Landscape Design set out to walk 100km from Canterbury to Crawley in under 24 hours. In fact he finished the gruelling walk in less than 23 hours, which was an amazing achievement. 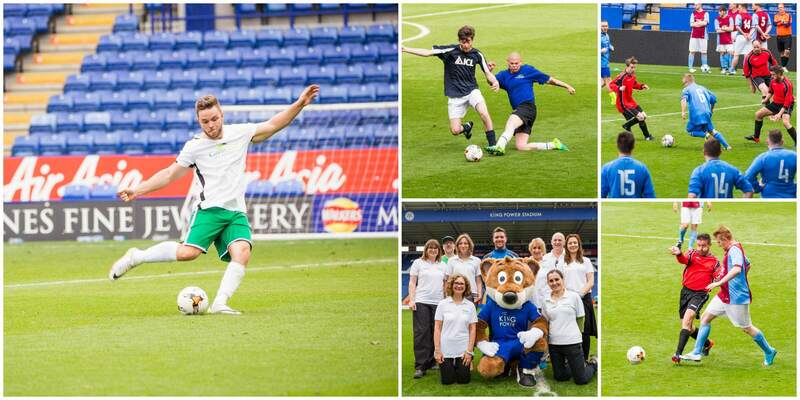 Gavin Jones were crowned #PlaythePitch Cup winners and Super Cup champions at Leicester City’s King Power Stadium on Tuesday 23 May in a nail biting penalty shoot-out. Sixteen teams from across the horticulture industry arrived at the home of the 2015-2016 Premier League champions bright and early for the Group Stages draw. The top two teams from each group progressed to the Cup quarter finals, whilst the bottom two went through to the Plate competition. The winners of the Cup and Plate finals then faced each other in a Super Cup final. The on the pitch action finished with a Beat the Goalie competition, which saw Perennial’s new Chief Executive Peter Newman amongst those who stepped up to take a shot, before heading up to the Walkers Lounge to lead the speeches and trophy presentations. Many thanks to all who made the day possible: Leicester City Grounds Manager John Ledwidge and team; sponsors ICL, media partner LAPU; Ady Dayman and the tournament officials who volunteered their time. Most of all thank you to the #PlaythePitch teams who played in a such fantastic spirit and helped raised vital funds to support their colleagues. Our official matchday photographer Carl Harrison has a gallery of images available to purchase here. We hope everyone who came to the Party for Perennial 2017 had an amazing time! We are thrilled that so many were able to attend to help kick start our HortAid 2017 fundraising campaign! We revealed our HortAid 2016 total which was an incredible £162,975 and we’re hoping that this year will be even better! It was brilliant to see so many of people dancing and enjoying the silent disco! You can view a gallery of images from the event here. 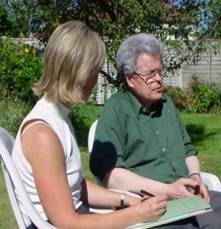 We can send you copies of the original files in return for a small donation to Perennial. Email us for details. The auction and raffle were a great success raising almost £14,000 alone, and our thanks go to all those who donated some wonderful prizes including Birtsmorton Court, Carol Lammas, Square Root Planters, Martha Krempel and River Cottage, London Stone, John Moseley and Nandos! We are still counting the amount raised on the night but initial indications show it is close to £30,000, an amazing amount! Thanks go to Party for Perennial 2017 sponsors for their generous support: CED Stone Group, Bulldog Tools, the HTA, Bulrush, The Landscape Show and Sodexo Horticultural Services and our media partner Horticulture Week. 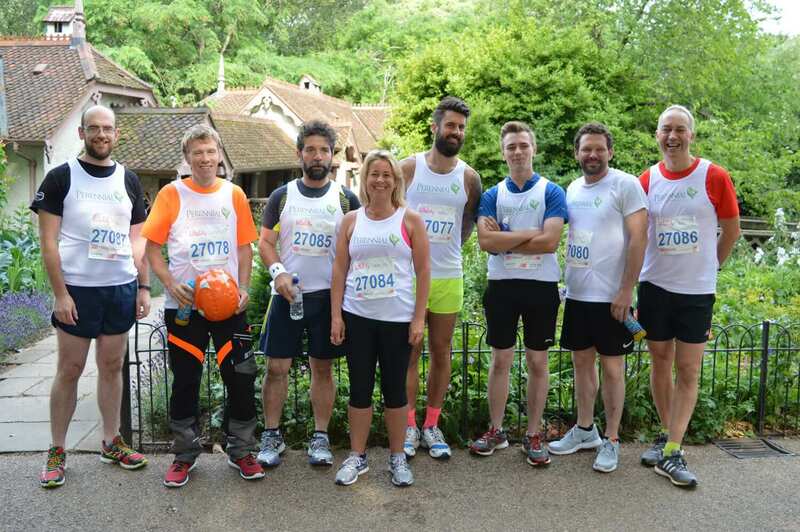 A group of colleagues and friends from Greenspace Solutions in Leeds (now owned by GRITIT UK) joined forces to raise money for HortAid last year in memory of Alan Broomfield. 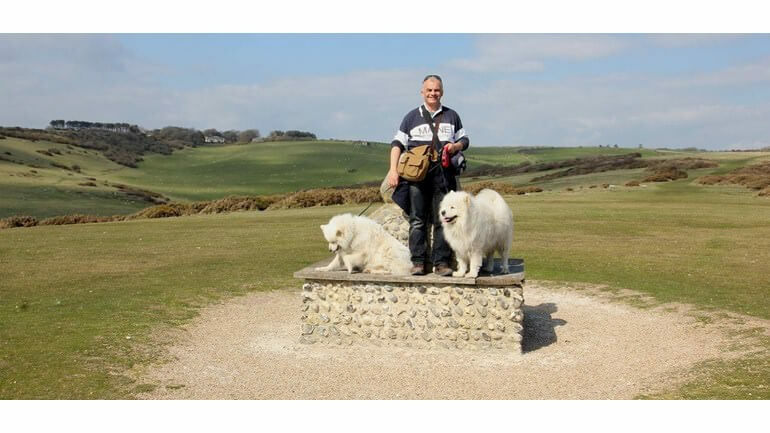 Alan, who worked for Greenspace Solutions, died from cancer in 2015 leaving a wife and young son. A team of landscapers and nurserymen and women from across the UK cycled from Snowdon to Lands End in just 6 days in September 2016. 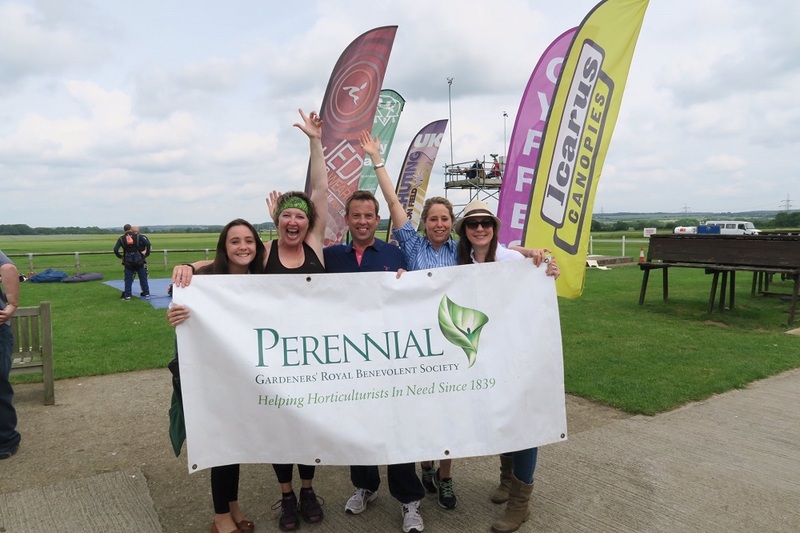 So far the team has raised over £40,000 for Perennial, a life-changing amount of money that will help us support many more horticulturists struggling to cope with life’s many challenges. 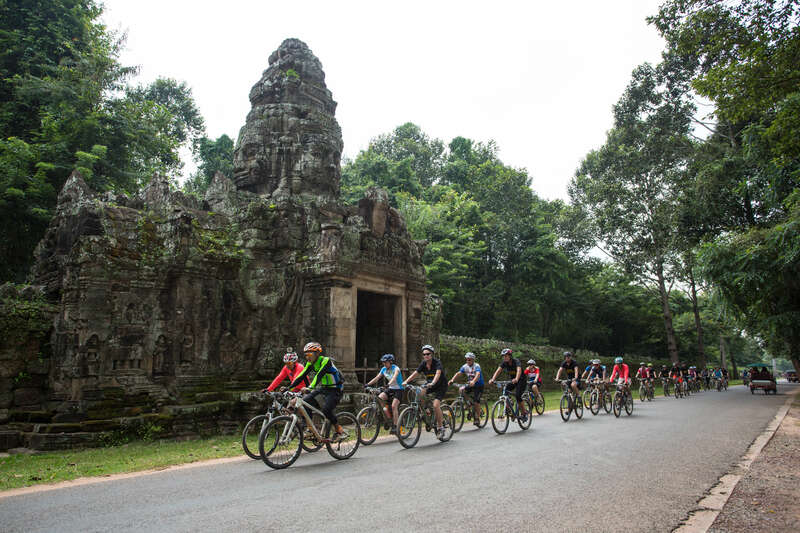 The event was fully supported by top professional guides from Passion In Events (PIE). 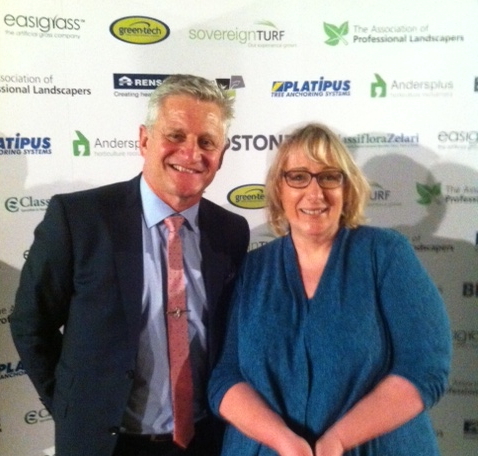 The event was sponsored by Bowles & Wyer, Silverland Stone, London Stone and Garden Link. 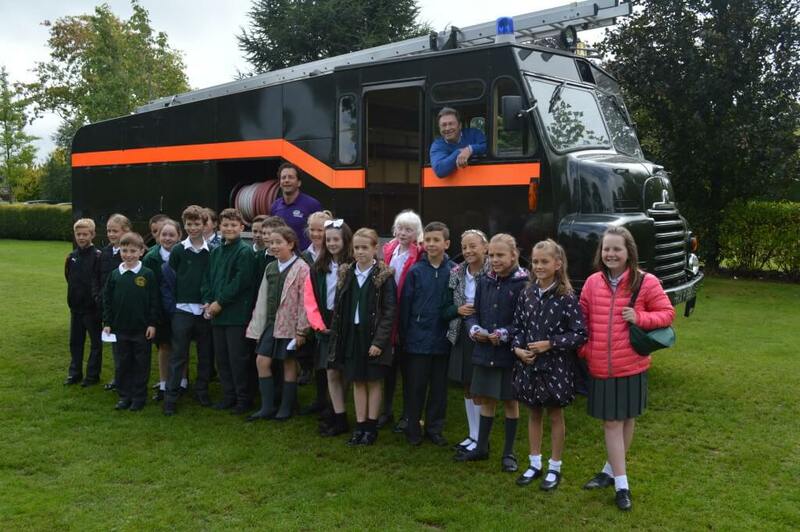 In addition, the challenge vehicles were sponsored by Skidmores, Oakview Landscapes and Thurlow Nunn Vauxhall. 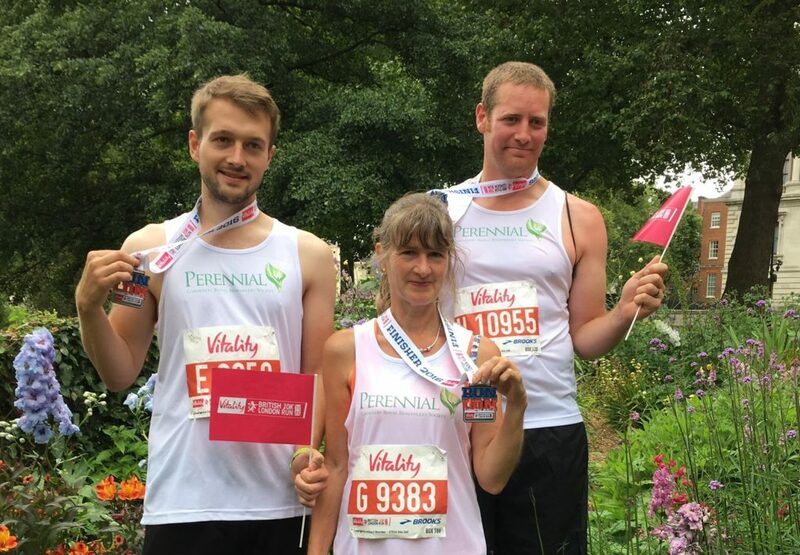 James Robbins, Fullers Mill Head Gardener Annie Dellbridge and her son Sam completed the British 10K London on 10 July. 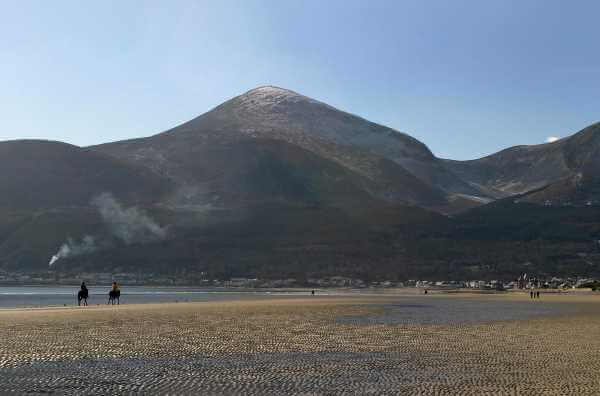 A group of Irish horticulturists, led by Doug Thomson, tackled the trek from the coast up to the top of Slieve Donard, the tallest mountain in Northern Ireland. 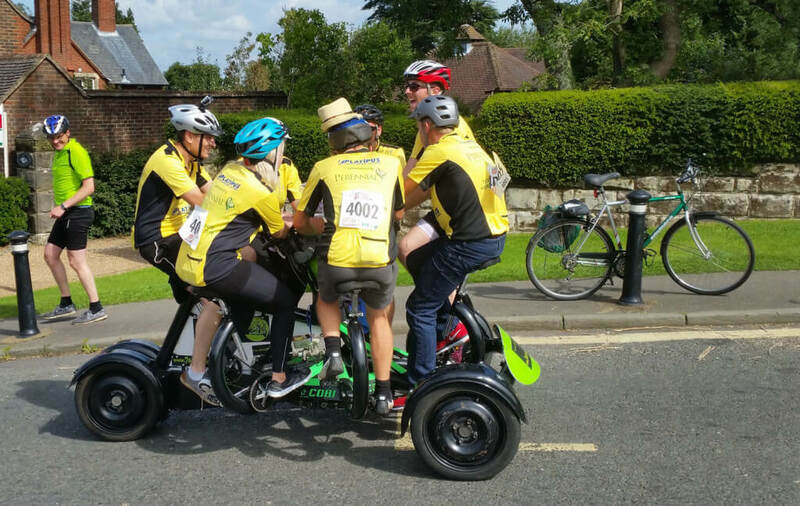 Along the way, they raised well over £1,000! 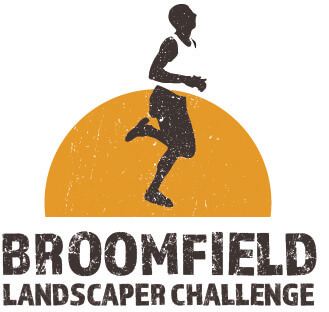 A group of intrepid fundraisers – including Gold Medal-winning garden designer Ann-Marie Powell – raised over £4,000 on 11 June! However, you can skydive for Perennial at any time of year. Watch this video to get some inspiration. 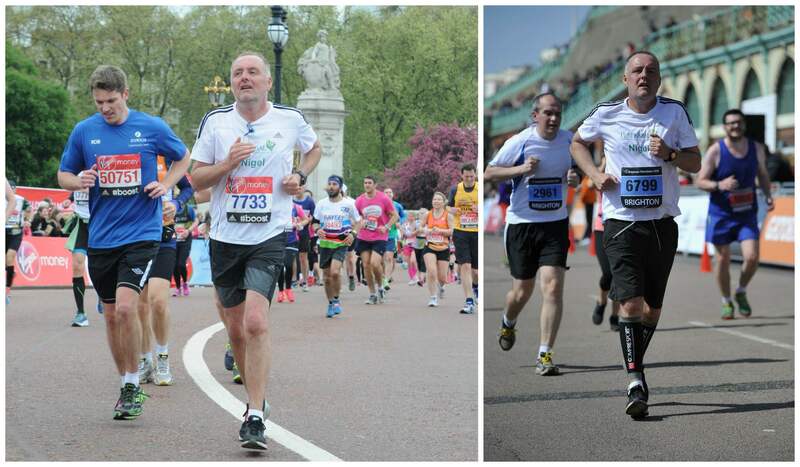 The amazing Paresh Raithatha and Andrew O’Brien ran the London Marathon for HortAid in 2016, and between them raised nearly £5,000! Our 2016 HortAid campaign got off to a flying start at the Party for Perennial at Skyloft, Altitude London. 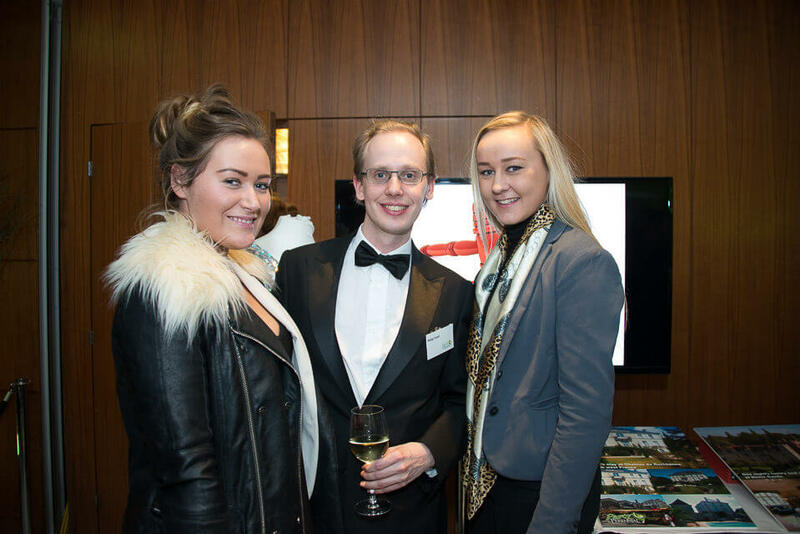 The event raised a total of nearly £35,000, with over £26,000 of that for HortAid! Claire and Jamie completed an extraordinary weekend by forming part of a team that cycled a 7-seater bicycle all the way from Clapham Common to the seafront in Brighton! 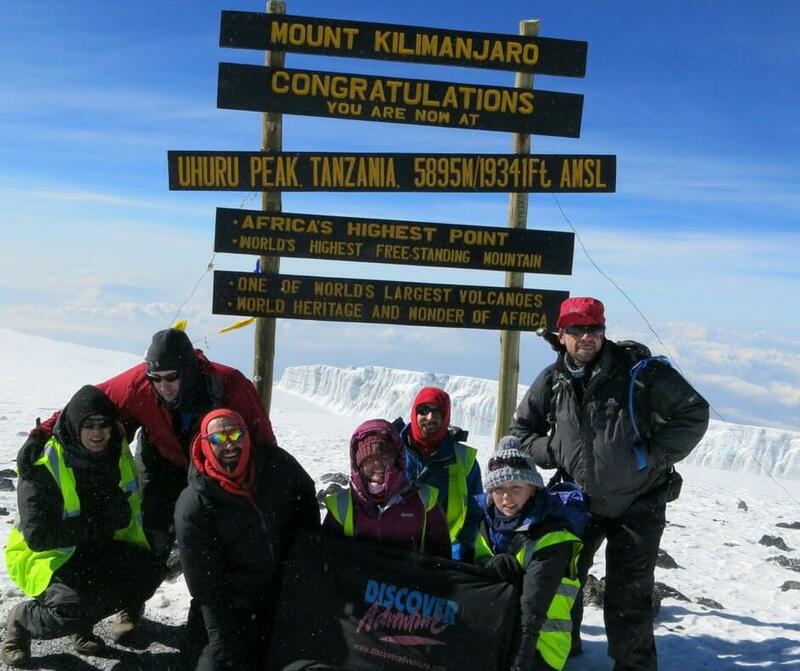 They were joined by our Extreme 3 Peaks team. Between them, they raised more than £3,000. Claire Vokins and Jamie Butterworth braved the daunting 7km Nuts Challenge course, near Dorking, Surrey. 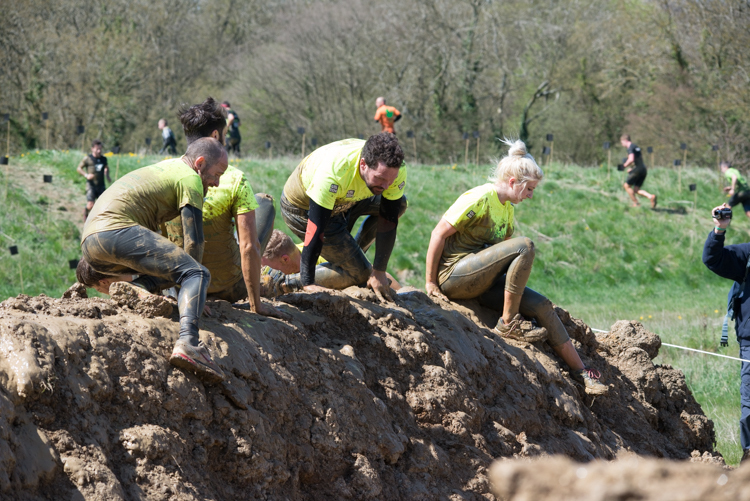 With over 100 obstacles and lashings of deep Surrey mud, they had a fantastic time! Fire engines were pulled, raffles were held, jam was sold, and green custard pies were thrown. Our fool-hardy fundraisers raised almost £10,000 during our Go Green fortnight! Our amazing team of runners raised more than £2,270 racing through the streets of London in one of the country’s most popular running events! 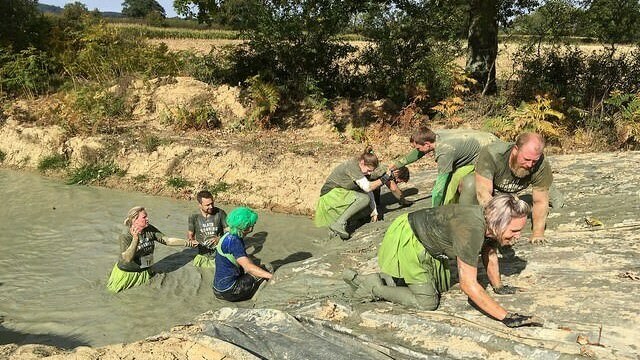 The Grubby Gardeners got down and dirty for another fantastic mud run in Kent, and raised over £2,500 in the process! Nigel Bowcock, owner of Acre Landscapes Ltd and BALI board member raised over £2,500 running two marathons in a fortnight! We want to know how you’re planning to raise money for HortAid! We can support you with publicity, marketing collateral, and help you make sure your fundraising event is as successful as possible.